The Special Rapporteur on freedom of religion or belief is an independent expert appointed by the UN Human Rights Council. The mandate holder has been invited to identify existing and emerging obstacles to the enjoyment of the right to freedom of religion or belief and present recommendations on ways and means to overcome such obstacles. The United Nations Commission on Human Rights appointed further to resolution 1986/20 a “Special Rapporteur on religious intolerance”. In 2000, the Commission on Human Rights decided to change the mandate title to “Special Rapporteur on freedom of religion or belief”, which was subsequently endorsed by ECOSOC decision 2000/261 and welcomed by General Assembly resolution 55/97. On 18 June 2010, the Human Rights Council adopted resolution 14/11 which, inter alia, extended the mandate of the Special Rapporteur for a further period of three years. - to continue to apply a gender perspective, inter alia, through the identification of gender-specific abuses, in the reporting process, including in information collection and in recommendations. a) transmits urgent appeals and letters of allegation to States with regard to cases that represent infringements of or impediments to the exercise of the right to freedom of religion and belief. c) submits annual reports to the Human Rights Council, and General Assembly, on the activities, trends and methods of work. 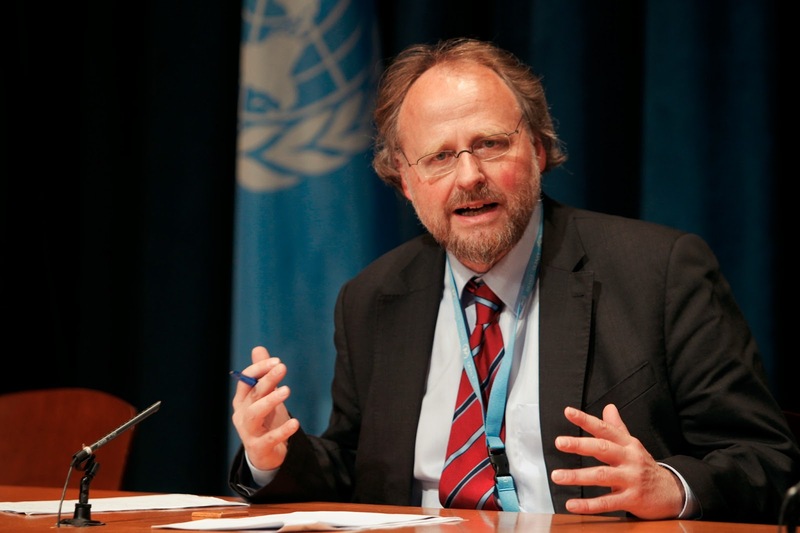 On 1 August 2010, Mr. Heiner Bielefeldt assumed his mandate as Special Rapporteur on freedom of religion or belief. Mr. Bielefeldt is Professor of Human Rights and Human Rights Politics at the University of Erlangen-Nürnberg. From 2003 to 2009, he was Director of Germany’s National Human Rights Institution. Mr. Bielefeldt’s research interests include various interdisciplinary facets of human rights theory and practice, with a focus on freedom of religion or belief. Mr. Bielefeldt's full CV is available here. Read more about Institutional, Procedural and Substantive Legal Issues concerning the mandate of the Special Rapporteur (by Michael Wiener) - click here.